I’ve got something fun for you guys. But don’t jump to the bottom just yet!! We still have some Tuesday Trainer business to attend to. A lot of times, Spring Break involves TRAVEL. So that’s what we’re doing this week. The theme for this week’s Tuesday Trainer is “Spring Break Travel”!! Moves can be done on the road, with minimal or no equipment. What are the exercises that you do when traveling (in a hotel, in an ill-equipped gym, on the sand with your nerdy running friends). Those are the moves I want. ANYONE can participate – blogger or not. If you do blog, be sure to introduce yourself AND your blog. Feel free to give tips on proper execution and technique. DON’T include a number of reps. I’ll do that part. If your move isn’t correct, meaning improper form or instruction, I will not be able to feature it. Do your homework and get it right!! On Tuesday, grab the Tuesday Trainer button, to provide your readers with an easy link to the workout! Simply copy the text in my side bar and paste it into your HTML code. 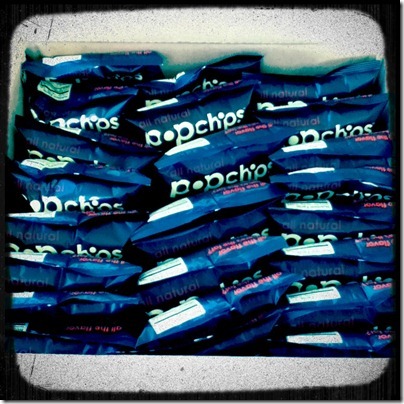 Maybe an entire MONTH’S SUPPLY of PopChips? Would that work for you? Did you know that PopChips is a BLEND Retreat Swag Bag sponsor? And did you also know that they didn’t contact me about sponsoring, but that I asked THEM, because I wanted to try PopChips. Shameful, but true. And I’m SO glad I reached out. These chips are pretty amazing. Not baked, not fried. I’m not sure how they do it, but this new Sweet Potato flavor is pretty great. I could easily eat two bags in one sitting without a second thought. Good thing I’ve got a month’s supply to keep me company for the next, oh, 3 days. Wanna win your own month’s supply?? To celebrate their BLEND sponsorship, PopChips has offered to hook one LL reader up!! Enter below! 1. Leave a comment on this post telling me what your favorite healthy snack is. Additional Entries: In order to be counted for these entries, make sure you leave an additional comment, telling me about your entry! 1. 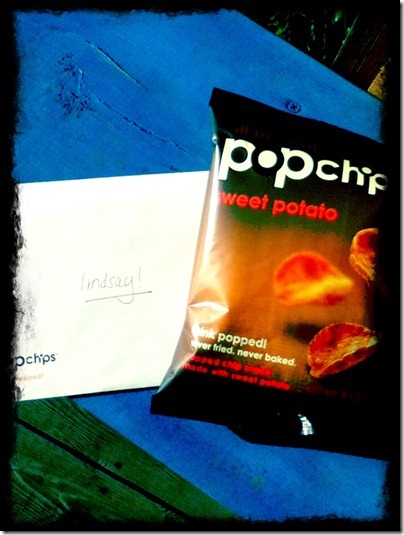 Tweet the following: @lindsays_list is having a @popchips #Giveaway. Go enter – http://wp.me/p1Mp21-1Cl! 2. Share my giveaway on Facebook: Lindsay’s List is having a PopChips Giveaway. Check it out – http://wp.me/p1Mp21-1Cl! 3. 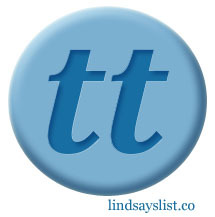 Like/Follow Lindsay’s List on Facebook and Twitter. 4. Like/Follow PopChips on Facebook and Twitter. Giveaway ends on Sunday night at 12pm. I’ll announce the winner on Monday! Good luck and HAPPY THURSDAY, my loves!! This entry was posted in BLEND, Blog, Giveaways, Thursday's Theme. Bookmark the permalink. my fav healthy snack is an apple and almond butter! I follow YOU on Twitter! yay! I love roasted almonds, fruit or a rice cake with peanut butter! YUM! My favorite healthy snack is Food Should Taste Good sweet potato chips. Holy entries, Batman! ;) …just tweeted! Wahoo! Favorite healthy snack…hmmm…I adore cottage cheese on chips but that’s only semi-healthy. ;-) Also love the 100 calorie popcorns! I am a big fan of Greek yogurt, fruit and nuts as an afternoon snack! My favorite healthy snack is apples! I try to eat one every day – and would eat them multiple times if I could! My favorite snack is Greek yogurt with apples, cinnamon, and raw almonds!!!! My go-to favorite snack involves a banana plus ________________(greek yogurt, almond or sunflower seed butter, slivered almonds, granola, etc.). I’ve never tried Popchips with a banana, but maybe now I can?!? I think I hit “post comment” twice! Sorry! My go-to favorite snack is a banana + ___________ (i.e. yogurt, almond or sunflower seed butter, etc.). I’ve never tried a banana with Popchips, but maybe now I can?!? My favorite healthy snack is Greek yogurt! 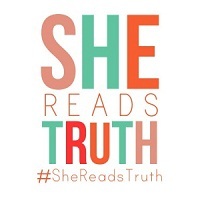 Liked & followed Lindsay’s List! I like Popchips on Facebook. My current favorite snack is bananas with peanut butter. Everything is better with peanut butter. My favorite healthy snack is an apple with some cottage cheese. I liked Popchips on Facebook and Twitter! I posted this giveaway on my Twitter page! My favorite healthy snack is banana + peanut butter! I tweeted about the contest as well! I follow you on Twitter and liked your facebook page! Favorite healthy snack…raisins or carrots and peppers with hummus. I follow Popchips on Twitter and like them on FB. I follow you on Twitter and like you on FB. My favorite healthy snack is definitely raisins and almonds – or granola with almond milk! My favorite healthy snack is a banana and peanut butter! 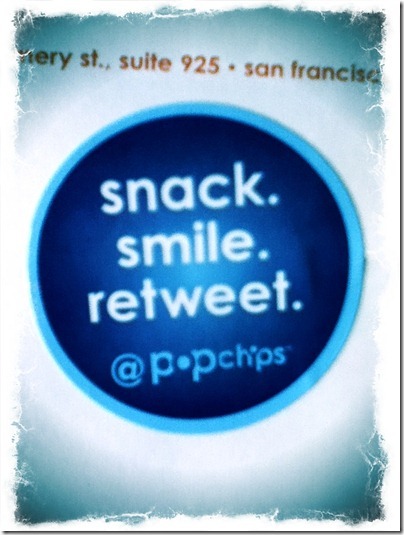 Already follow popchips on Twitter and fb! My fav healthy snack are strawberries and apples. Fresh pineapple here in Kenya is the best!! liked popchips on FB and follow them on twitter! liked you on FB and follow you on twitter! Fav healthy snack- Def greek yogurt with some kind of fruit! my favorite healthy snack: banana + peanut butter! Yum, I’ve never tried popchips before! My favorite healthy snack is probably plain greek yogurt with a little honey. Or an apple. Or a grapefruit. I.love.fruit. My favorite healthy snack is raw veggies with a chobani ranch dip!! I have two favorites, yogurt and string cheese! My favorite snack changes frequently but right now – Trader Joe’s sesame honey almonds! so good! I like you on Facebook and follow you on Twitter! My favorite snack is probably a Chobani yogurt, but Pop Chips are very popular in our house. My boyfriend and I can’t get enough of them! I change snack obsessions often, but my current favorite is a banana with a little Nutella smeared on it! BANANAS! No, not the healthy snack but how I would die if I had a month supply of Pop Chips. My husband can burn through a bag pretty fast so I hide them in the pantry as my special snack friend. Other favorite snacks- love clementine’s, apples with almond butter, carrots with hummus. I like apple slices with peanut butter, and crackers with cheese or hummus! My very favorite snack of all time is a fuji apple and a little salted almond butter. I could eat it every single day (which I almost do!) and never get tired of it. My favorite snack of all time is a fuji apple and a little salted almond butter. I could eat it every single day and never get tired of it. I love Pop Chips. And it would be interesting to know how they are made. and… just tweeted the contest woo! just started following you on twitter, yay!!!! my fave snack is dried fruit! I like and follow you! My favorite healthy snack is honeycrisp apples! Fav snack: trail mix or PB straight from the jar! I like Popchips on facebook and follow them on twitter! 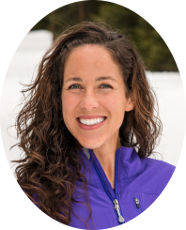 I like Lindsay’s List on facebook and follow you on Twitter! Tweeted, followed and liked. And liked popchips!! That’s 4 extra – woot! My fav snack is Trader Joe’s Savory Thin Mini Edamame Crackers. Yay!! I had pop chips today! the BBQ was really good. i am on a banana and blueberry kick lately for snacks! My favorite healthy snack as of right now is cantaloupe with cottage cheese! Yummy! I’m dying for some real (in season/ripe) cantaloupe…Come on summer! And I already like/follow Popchips on FB and Twitter! My favorite healthy snack banana with pb. SO GOOD. My favorite healthy snack is a banana with peanut butter. SO GOOD. Oooh a giveaway! :D My current favorite healthy snack would be a handful of almonds…it’s too easy for me to eat too many, but when I’m gone and in between clients or away, it’s the perfect hold-me-over snack, esp when paired with an apple. 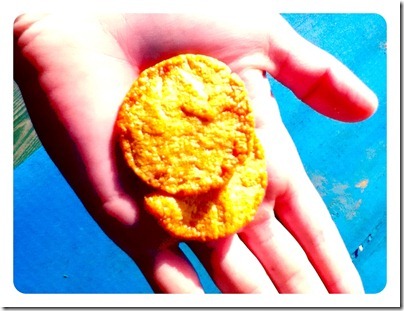 Never tried popchips – seen them and they look great! I like you on facebook and twitter! I haven’t seen the sweet potato flavor in stores, I’d love to try it! My favorite healthy snack is probably greek yogurt with pb and berries! Favourite healthy snack= greek yogurt, hands down. My favorite healthy snack is a warm banana with almond/peanut butter! i like and follow popchips! when i need a snack i’ll chop up an apple and eat it with greek yogurt, cinnamon, and stevia. yum! I liked and followed Popchips! My favorite healthy snack is a diced apple in greek yogurt topped with cinnamon! i like/follow you on twitter! I love almonds for a healthy snack! My favorite healthy snack (at the moment) is ants on a long–you know, celery, peanut butter, topped with a few raisins! My favorite snack is greek yogurt with some cereal. But I am dying to try the Sweet Potato pop chips and I can’t buy them in Oklahoma yet!! My favorite snack is assorted vegetables and hummus, followed by a close second of a spoon of peanut butter. I really want to try this new sweet potato variety. My favorite healthy snack…. I have to go with a spoonful of peanut butter. haha! I’m so excited that PopChips is sponsoring Blend! Woohoo!! i already follow you on twitter & facebook. I am now following PopChips on Facebook and Twitter. All this PopChip talk is making me want to eat some right now! i love pop chips! i’ve never tried the sweet potato flavor though. chobani yogurt or veggies + hummus are two of my favorite healthy snacks. I tweeted about your give away Lindsay. I love Pop chips! I want some! My favorite healthy snack is either yogurt or fruit. My favorite snack is DEFINITELY either nut butter eaten with a chopstick (nut butter lollipops!) or hummus and veggies…although instead of hummus, lately I’ve been dipping (or covering) everything in/with this citrus avocado dressing/dip I made this week! You know I already stalk…errr follow…you on Facebook and Twitter. Love me some Popchips!!! Just tweeted! Gosh I would love to get these pop chips, they have been my new favorite obsession especially being allergic to gluten. My other favorite snack is probably microwaved scrambled egg whites with laughing cow cheese. My favorite snack is air-popped popcorn with mini chocolate chips, sweet and salty! Yumm I’ve always wanted to try Popchips! My favorite healthy snack is an apple and almond butter. Crunch. My favorite healthy snack recently is a date, stuffed with almond butter, and sprinkled with chia seeds. Mmmmm….. Trail mix with nuts and seeds and dried fruit is my choice of a healthy snack! Thanks for the giveaway! I Like/Follow PopChips on Facebook and Twitter! My favorite healthy snack is Greek yogurt with fresh berries! ooh! I haven’t tried the sweet potato flavor yet! I do love a fresh honeycrisp apple in the Fall. I also enjoy a couple rice cakes with a smear of nut butter and Trader Joe’s cranapple butter. I have to say that if I could get hooked up with the new Thai flavor PopChip those might become my favorite…I already am OBSESSED with the salt + vinegar ones. My favorite healthy snack is Greek yogurt or veggies with hummus! I LOVE chips and I happen to love Popchips so this would be great to win :) Their salt and vinegar is my FAV! I really want to try popchips! I’ve heard such great things about them but have yet to try them. My favorite healthy snack is greek yogurt!! Hooray for spring! No spring break for me though. considering i just did all that travel, this is perfect! i am a pro, right? and gimme some pop chips!! we love the salt and vinegar flavor. They still have that flavor right? my favorite healthy snack is fruit or raw nuts! My favorite snack is probably an apple or a banana with peanut butter.